What a lovely way to start a sunny March Sunday morning. The mist was gently rising from the Lloyd Elsmore Park duck pond, the birds were singing, our spot was ready for the cars, and all the Mercedes men were ready to raise the marquee. I was delegated the job of directing where the cars should be parked in our little corner of the park. I directed, men didn’t listen. Daryl and Chris came up with a better plan, cars were moved and rotated. 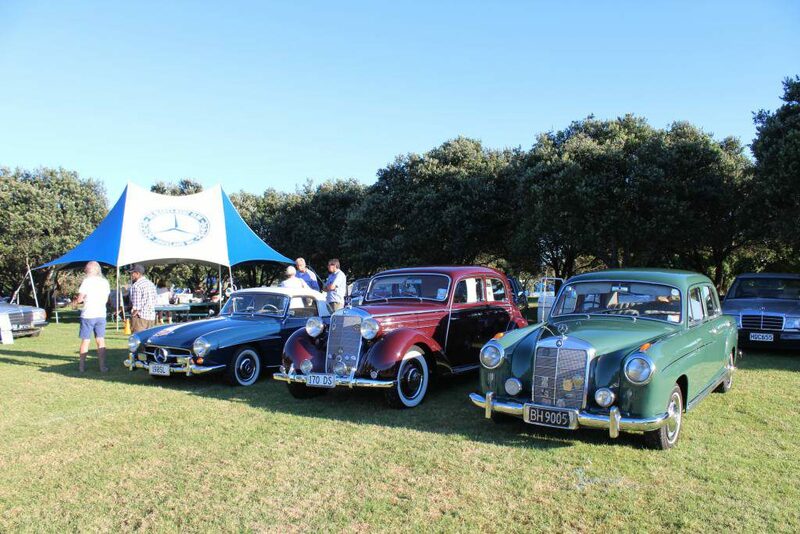 Finally, 17 classic cars and 11 modern cars were all in place. Then Garry arrived in his humming 540K. The Rolls Royce guys gaped. The Jag guys gawked. I guided him to his prime spot. All was ready. All was calm. Then the hoards arrived. 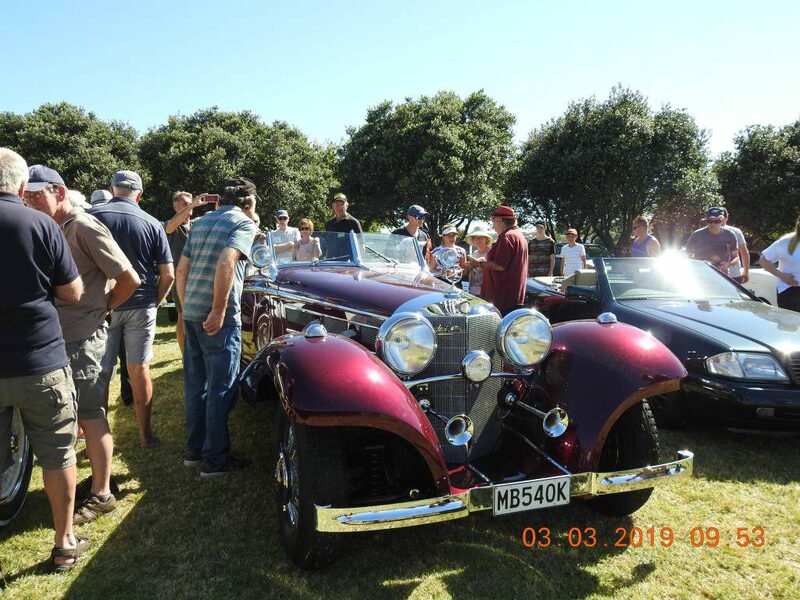 People lined up to get photos with Garry’s Car, gazed longingly at Harald’s, peered with wonder at Graeme’s, and ogled Ron’s girl. Three young teens implored me to start my car so they could just listen to her purr, and one man informed me that he was very disappointed that all Mercedes owners drove auto! The crowds just kept on coming. 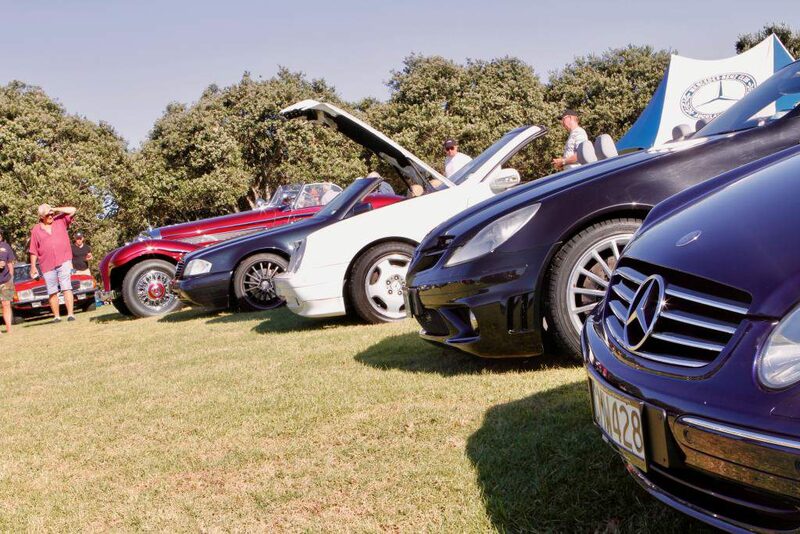 Once more a successful show for the Mercedes-Benz Club Auckland. Thank you to everyone who brought their cars and came to visit. And a very big thank you to the Marx’s for coming all the way from Pirongia.